Virgin Mobile USA will first be offered in Apple's stores then online. 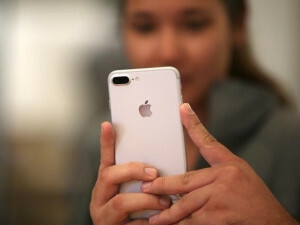 Apple will soon start selling wireless plans from Virgin Mobile USA, the first new carrier offered by the iPhone maker since 2013, the companies said yesterday. Virgin Mobile USA, a subsidiary of Sprint that licenses its name from the Virgin Group co-founded by Richard Branson, struck the deal as part of a broader revamp of its business that will see it ditch Android phones in the coming years and become what it claims is the first iPhone-only network. Virgin Mobile USA will first be offered in Apple's stores then online. Apple currently offers AT&T, Verizon, Sprint and T-Mobile, the last of which was added in 2013. Branson, wearing an Apple Watch on his left wrist and traditional watch on the other, told Reuters in an interview he sees similarities between the Apple and Virgin brands because both advocate for human rights and other social causes. Apple retail chief Angela Ahrendts "has been tremendously supportive of this and loves the proposition", Branson told Reuters before a launch event in San Francisco. "We were knocking on [an] open door." Virgin Mobile USA piggybacks on Sprint's network. Virgin customers pay full price for their phone upfront but are not locked into a contract. Under the deal with Apple, customers who buy a new or refurbished iPhone from Virgin or Apple will get up to one year of service for $1 a month, with service costing $50 per month after that. The refurbished phones will come with an Apple warranty. Because Virgin does not spend money on its own physical stores or big advertising campaigns to acquire customers, the company believes it can make a profit off much less revenue than larger carriers, said Virgin Mobile USA CEO Dow Draper. "The amount of money we have in these customers from an acquisition standpoint is minimal," Draper said. "Once they make one [$50) payment, we're back in good shape. Because of the strategy with going through Apple retail and Virgin Mobile's site, we've got a really efficient cost structure." Virgin Mobile USA also hopes the iPhone push will bring it in line with the rest of Virgin's brands. Virgin Mobile USA is seen as downmarket because it offers prepaid phones. Most of Virgin's other business, such as airlines, hotels and wine clubs, target more upscale consumers.